All Thumb Butte Town Houses homes currently listed for sale in Prescott as of 04/22/2019 are shown below. You can change the search criteria at any time by pressing the 'Change Search' button below. 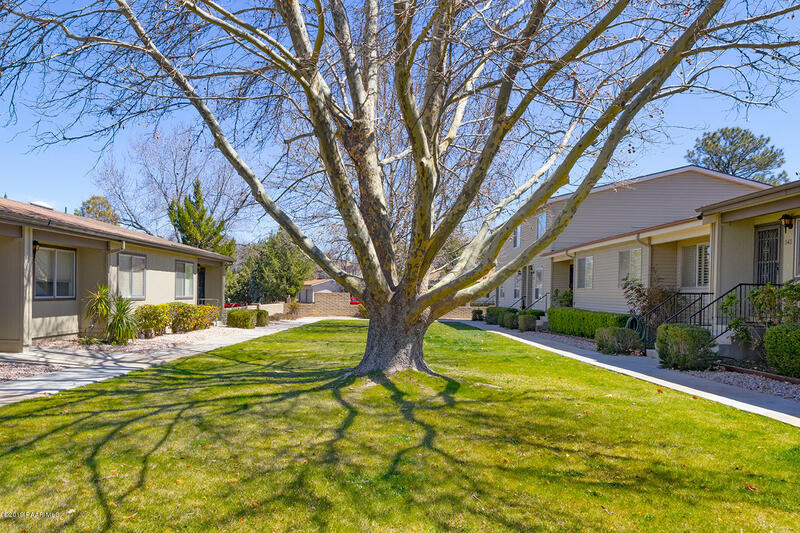 "Thumb Butte Townhouse nestled in the pines of Prescott! Nicely maintained and gated courtyard. Single level, 2 bedrooms, 2 bathrooms, living/dining combined, kitchen with breakfast bar. Enjoy the surround sound while entertaining guests. Back patio with awning and privacy fence. Large 2 car heated detached garage. Guest parking near garage for convenience. Just minutes from downtown historic Prescott, Thumb Butte hiking and biking trails, shopping, schools and medical. Enjoy the beauty and seaso"